Jeremiah, a THERAPY 2000 patient, was in desperate need of a Doc Band orthotic helmet to help correct his plagiocephal, a flat spot on the back of his head. Though common in children, an orthotic helmet is needed to correct the issue. In Jeremiah’s case, Medicaid denied funding to purchase the helmet. 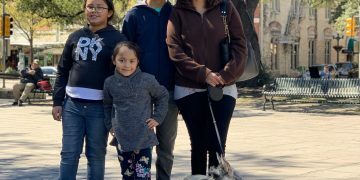 Jeremiah’s physical therapist, Catherine Parker of Austin stepped in and suggested his family to apply with Chari-T2000 to see if the non-profit would help fund for the purchase. Chari-t2000.org is a non-profit organization created to give children receiving rehabilitative service the needed tools and opportunities to make progress and reach their full potential. Chari-T2000 was able to partner with Jeremiah’s parents to purchase a Doc Band from Cranial Technologies Inc.
Jeremiah received his orthotic helmet in April. The helmet was customized to his liking with an assortment of fun Mickey Mouse stickers. 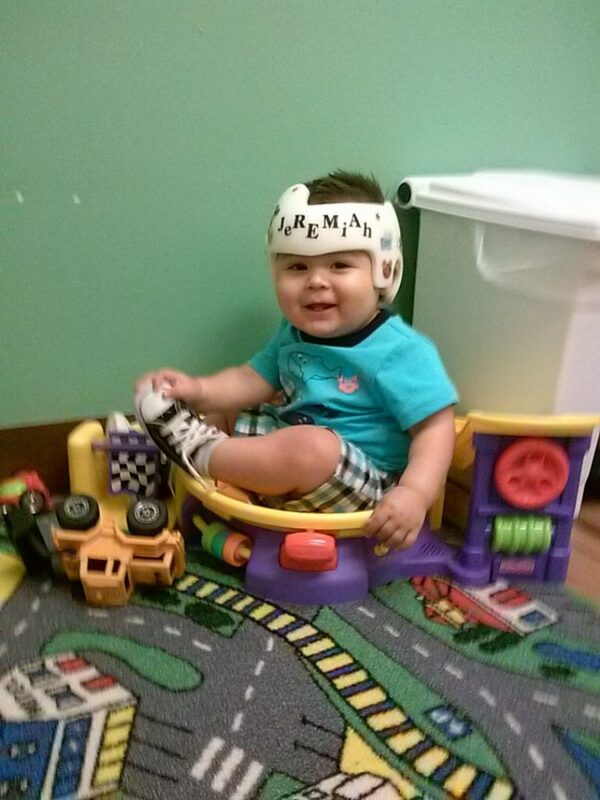 Thanks to the helmet his plagiocephaly and related issues are improving. Catherine Parker, Jeremiah’s THERAPY 2000 PT, shared, “Jeremiah is doing great! He recently begun walking on his own, and his torticollis is almost resolved. He is preparing for discharge from physical therapy this summer!” Though he is making great progress, due to the severity of his head shape when he first began treatment, his doctor informed his family in a recent follow-up visit that he still had three months left to wear his helmet. Chari-T2000 was glad to help fund the purchase to Jeremiah with his therapy. Do you have a patient or child that might benefit from the help of Chari-T2000? Each family that receives an item from Chari-2000 is asked to make a 10% donation towards the cost of the item. You can find and download the application is here http://charit2000.wpengine.com/english-application/. Chari-T2000’s mission is to assist Texas children (birth–21) with developmental and medical needs obtain the services and equipment they need to make progress and reach their full potential. For many families with children receiving rehabilitative services, obtaining necessary medical services or equipment is extremely difficult. There are often insurance limitations that make funding these important items challenging. Chari-T2000 was created to bridge the gap when it is not financially feasible for families to provide these tools and no other funding source is available. Established in 2010, Chari-T2000 was created by North Texas agencies that serve children with disabilities to give back to the families they service.